Salesforce, meanwhile, seems to have figured out growth and profitability. The company reported Q1 revenue of US$3.01 billion, up 25 per cent year-on-year and a few million ahead of guidance. Net income hit $344m and future revenue under contract tops $20bn. The company therefore issued full-year guidance of US$13.125bn, ahead of previous forecasts. And why wouldn’t it after also reporting that Sales Cloud grew at 16 per cent, Service Cloud grew 29 per cent and Marketing and Commerce grew 41 per cent. The company’s Lightning PaaS also grew 36 per cent The company also revealed that it plans to expand its UK data centres, to serve local demand. Acquiring Mulesoft dented Q1 results by about $150m, with more to come in Q2, but execs were positive about the combined companies’ fortunes. 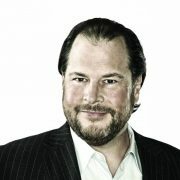 Benioff said Mulesoft will help Salesforce to achieve its goal of a “360 degree customer” by easing integration of information silos so that Salesforce gets more data on which to act. And that increasingly means bringing the company’s “Einstein” AI to bear: Benioff said it answered two billion queries in the quarter. Salesforce shares popped by about four per cent after the bell, a sign that investors like these results. And why wouldn’t they? As Benioff said, Salesforce is the fastest-growing of the top five enterprise software companies, scored its largest-ever deal in Q1, and has long-term commitments from plenty of its customers. Europe’s sweeping data protection law came into force on Friday. And legal experts say big tech companies are already violating the new rules. Facebook (FB) and its subsidiaries Whatsapp and Instagram, as well as Google (GOOGL), are facing lawsuits for failure to comply with the General Data Protection Regulation (GDPR). The companies could face billions of dollars in fines if European regulators agree they failed to comply. “We’re looking for big companies that really willfully violate the law, that kind of try to ignore it and try to get away with it,” said Max Schrems, an Austrian lawyer whose NGO, None of Your Business, filed the lawsuits. “There is no grace period,” James Dipple-Johnstone, the deputy commissioner of the UK’s data protection authority. “We will be looking at the algorithms they use to profit off data to make sure they are fair,” he added. Schrems has been fighting Facebook over data protection for almost a decade. His earlier lawsuit successfully challenged Facebook’s ability to transfer data from the European Union to the United States. 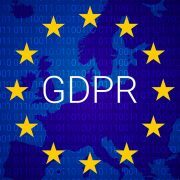 The next battleground with the company is GDPR. According to Schrems and other legal experts, Facebook is breaking a GDPR rule intended to prevent companies from hoovering up sensitive information like political opinions, religious beliefs, ethnicity and sexuality without their users’ consent. Michael Veale, a Technology Policy Expert at University College London, said that even if users’ completely remove sensitive traits from their profiles, Facebook can still glean information such as sexual orientation by analyzing their behavior on the platform and other websites. Testifying in front of the European Parliament leaders on Tuesday, Facebook CEO Mark Zuckerberg insisted his company would follow the new regulations. “We have made our policies clearer, our privacy settings easier to find and introduced better tools for people to access, download, and delete their information,” Facebook’s Chief Privacy Officer Erin Egan said in a statement emailed to CNNMoney. The suit against Google alleges that users of the company’s Android software are forced to turn over personal data to use an Android-powered mobile device. The lawsuit alleges this “forced consent” amounts to a violation of GDPR, which guarantees individuals the right to consent when companies want to collect and process their personal data. 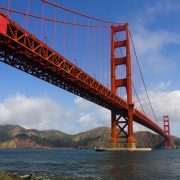 Google told CNNMoney it is committed to complying with the new law. Schrems says the new rules are tough enough to prevent the kind of data scraping that Cambridge Analytica before the 2016 U.S. election. He’s taking legal action to ensure GDPR is properly enforced. “If we enforce the properly, we can actually get a balance in this digitalized age,” says Schrems. “In the end, you should be able to use Facebook without worrying 24/7 about your data,” he added.